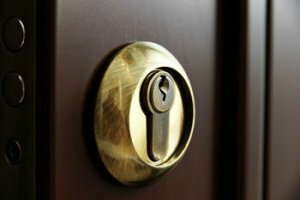 24/7 Locksmith Services In Driftwood Texas - Get Reliable Help Fast! 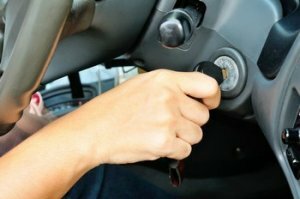 24/7 Locksmith Services In Driftwood Texas - Get Reliable Help Fast! Local Locksmiths That Love Helping Customers Like You! Because we enjoy helping people with our extraordinary locksmith services. Because we enjoy this wonderful community of Driftwood Texas. Thanks to our passion for helping people and our commitment to total customer satisfaction, we have been able to provide our unbeatable South Austin Locksmith services to all nearby neighborhoods, and beyond. Finally, you can get high-quality residential locksmith services, without breaking the bank! Thieves don’t care what time it is, so neither do we. After you get in touch with the local police, give us a call and we will be right over no matter what time it is. We will repair any damages caused by the break-in and we can quickly perform lock changes and rekeys to restore your peace of mind. Or, if you are interested in upgrading your security system, we will be happy to discuss your options and help you determine a system that is right for your needs and your budget. When it comes to emergency locksmith problems, broken and stuck keys are some of our most frequently requested services. We are experts at removing stuck keys quickly without causing any extra damage. If part of the key is stuck inside the lock, we will remove that as well. Plus, we will replace your broken key right there on the spot. Don’t forget to keep a lock lubricant nearby to help keep your locks working properly. Also, make sure to never use keys for anything other than their intended purpose. This means, don’t use your keys to open bottles or boxes. Follow these simple tips and you will be less likely to need our broken key removal services. Access Control Systems: Stay in control of who has access to specific areas of your property. Different systems include biometric access, pin code systems and key card access control. Master Key Lock Systems: Forget the hassle of carrying around a ton of keys! We can install and maintain a variety of master key locks so that you can access every area of your property with just one key. Not only that, we can make additional keys that will only work in certain areas for you to provide to residents and employees. Automatic Door Closers: Beleive it or not, we can actually set your doors to close at a certain speed. This will allow you to save money on your energy bills and forget about the inconvenience of doors that are always slamming shut. So what are you waiting for? Contact us today and find out more about our incredible services, or request immediate assistance for your home, car or business locks.